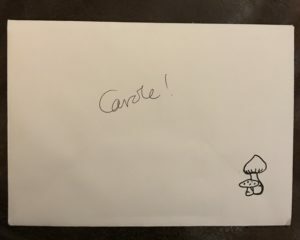 So I get this envelope with a Halloween card in it. 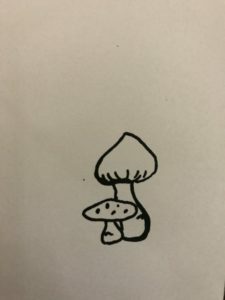 Firstly the card has a gorgeous little mushroom/toadstool? 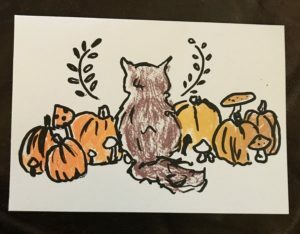 on it, and then the card itself is so cute, with a cat in the middle of a bunch of pumpkins. This is the work of a local artist, Rebecca Heath (RemHeathillustration on Etsy).